Nicholas Mosse Lunch Plates are lovingly handcrafted at their Irish Pottery, to create beautiful and durable designs. As a result, the pottery plates are perfect for any occasion, from brightening up your lunch hour, to serving delightful desserts or mouth-watering sides! 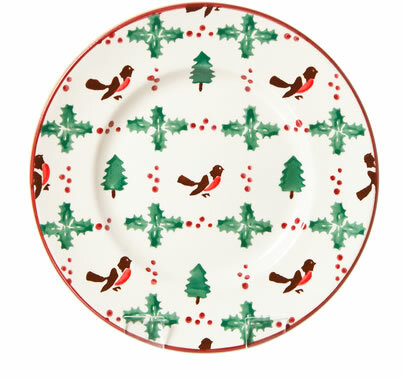 The Winter Robin Pattern adds a touch of festive cheer to any Irish pottery collection.